My name is Stuart Warren-Hill, I am an AV Producer, Visual Artist, VJ, Electronic Musician, and inventor. I am founder of Hexstatic and Holotronica Ltd and also a co-founder of the Big Chill. This site is actually 4 websites in one, covering my 4 main creative businesses and projects: Holotronica , Hexstatic, OOM and Holo-Gauze. You can navigate between each site with the drop down arrow at the top of the page. We are now content creators for Holo-Gauze and are creating new and exciting holographic effects for various events and installations. We can create 2D or 3D content and realtime environments. 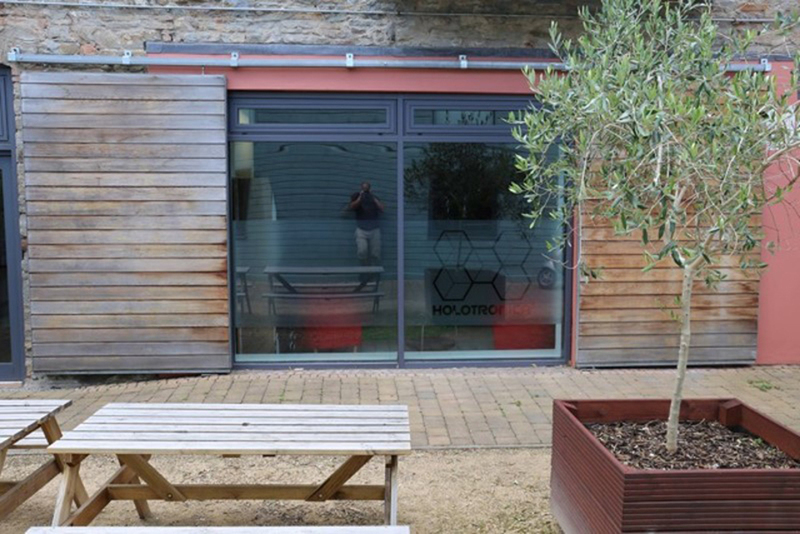 We can also do a full install and supply the whole Hologram system with our many years of expertise. I have created a retro futuristic syneasthetic trip merging sound frequencies and colour frequencies that will jump out of your 3D TV screen. The audio is co-produced by Pepper who has also mixed both stereo and 5.1 versions of the music for an immersive experience in your living room. I have also collaborated with Tom Wall from Blinkinlab for the bulk of the visuals. 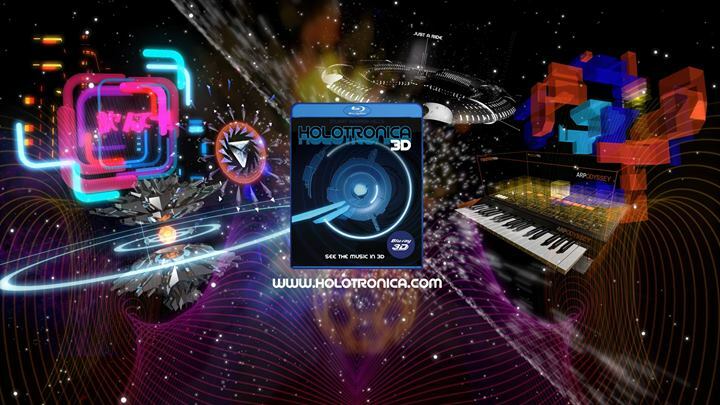 Holotronica is a 3D Blu-Ray Album CD and audio download from the shop on this site.